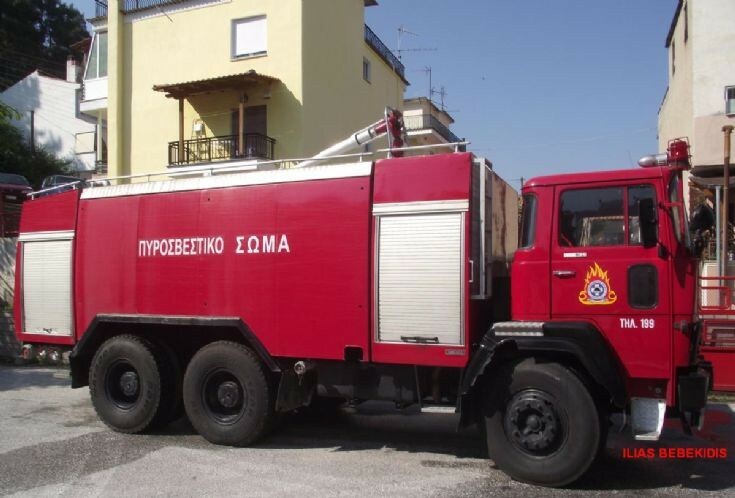 A Water Carrier from the Eleftheroupolis Fire Brigade. It is a Magirus-Deutz 310D26 with Temax bodywork and 12.000L water capacity and 500L foam. It was built in 1982.